In celebration of Paxton, IL with WCIA TV, Anywhere Anytime Journeys participated in a special advertisement. Discover all the beauty, history, adventure, wonder, and culture our World has to offer. Your Cruise is just around the corner and it is time for you to do your Online Checkin. You will need your Confirmation number. Select the Cruiseline from our convenient Checkin page. Find your Airline and begin your checkin process. See baggage fees, select your seats and more. Our goal is to maximize your travel budget while minimizing the time spent on coordinating travel. Personal and professional service is of the utmost importance to us. There's always something going on at Anywhere Anytime Journeys ®. Take a look below at just a handful of big events happening. Stay tuned. Exciting and exclusive new events are added all the time! To help you discover ways to explore the world, we're pleased to share our digital travel magazines; The Travel Magazine Online & Ultimate Experiences Magazine. 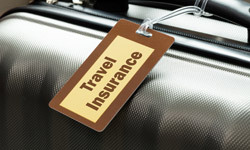 We strongly recommend optional travel insurance that protects you in the event of having to cancel your trip avoiding travel vendor cancellation policies and more!